We've seen goldfinches flying around for the past couple of months, always off in the distance or zipping by to fast to catch with the camera. Finally I found one that was obliging enough to sit and pose for me. 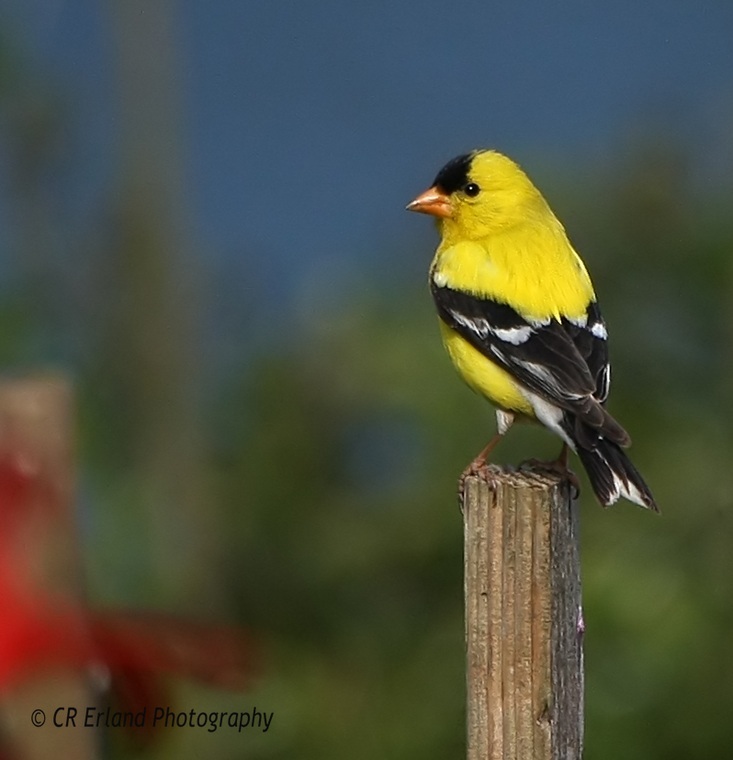 Goldfinch facts: Goldfinches are among the strictest vegetarians in the bird world, selecting an entirely vegetable diet and only inadvertently swallowing an occasional insect. Beautiful color and background..great shot.